President-elect Barack Obama formally announced Sunday that retired Army Gen. Eric Shinseki is his pick to be secretary of Veterans Affairs. President-elect Barack Obama has chosen retired Gen. Eric K. Shinseki to be the next Veterans Affairs secretary, turning to a former Army chief of staff once vilified by the Bush administration for questioning its Iraq war strategy. 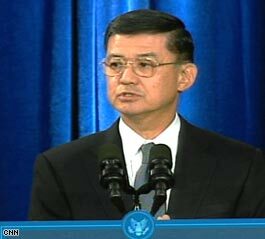 Obama will announce the selection of Shinseki, the first Army four-star general of Japanese-American ancestry, at a news conference Sunday in Chicago. He will be the first Asian-American to hold the post of Veterans Affairs secretary, adding to the growing diversity of Obama’s Cabinet. “I think that General Shinseki is exactly the right person who is going to be able to make sure that we honor our troops when they come home,” Obama said in an interview with NBC’s “Meet the Press” to be broadcast Sunday. NBC released a transcript of the interview after The Associated Press reported that Shinseki was Obama’s pick. By Hope Yen, Associated Press WriterShinseki’s tenure as Army chief of staff from 1999 to 2003 was marked by constant tensions with Defense Secretary Donald Rumsfeld, which boiled over in 2003 when Shinseki testified to Congress that it might take several hundred thousand U.S. troops to control Iraq after the invasion. Rumsfeld and his deputy, Paul Wolfowitz, belittled the estimate as “wildly off the mark” and the army general was ousted within months. 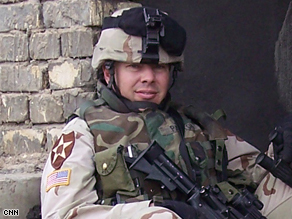 But Shinseki’s words proved prophetic after President George W. Bush in early 2007 announced a “surge” of additional troops to Iraq after miscalculating the numbers needed to stem sectarian violence. Obama said he chose Shinseki for the VA post because he “was right” in predicting that the U.S. will need more troops in Iraq than Rumsfeld believed at the time.